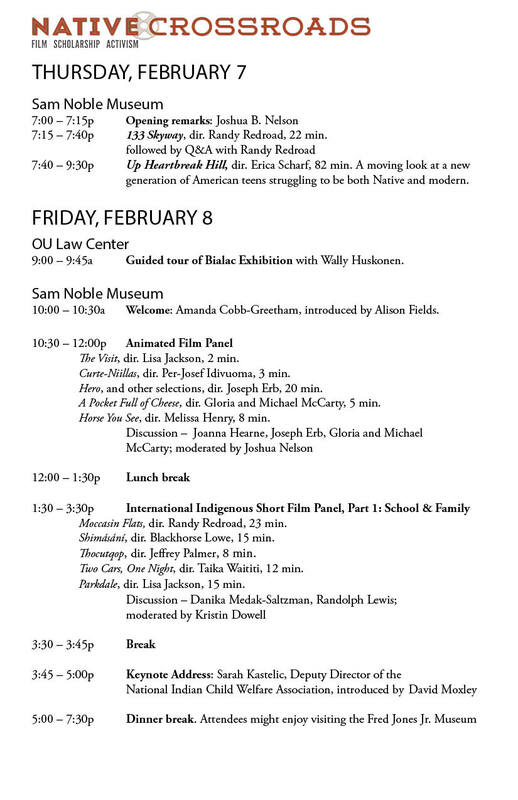 Hosted by the OU Department of Film and Media Studies and the OU Department of Native American Studies. Presenting sponsor, the Chickasaw Nation. 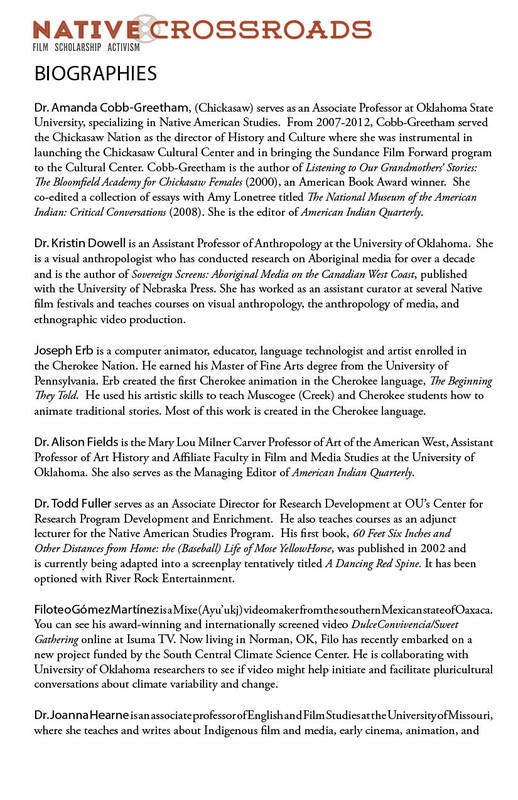 Sponsored by the OU College of Arts and Sciences, the OU Office of the Senior Vice President and Provost, the Sam Noble Oklahoma Museum of Natural History, the Norman Arts Council, and Earth Month at OU. For more information or accommodations call (405) 325-3020. Admission is complimentary and open to the public.